Clare Brandt. · One Book. One Author. One Hour. Lamb, Brian, 1941-, “Clare Brandt.,” One Book. One Author. One Hour., accessed April 24, 2019, http://booknotes.gmu.edu/items/show/2931. 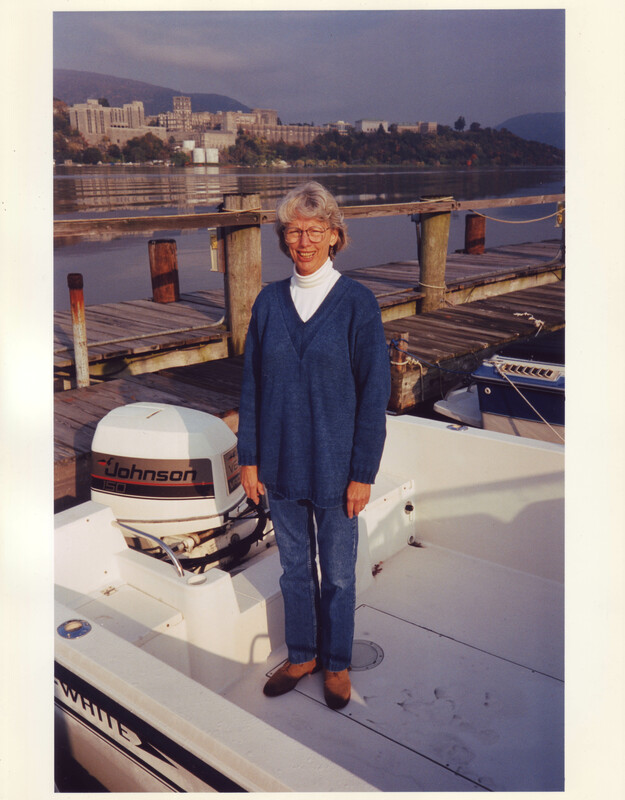 In preparation for her biography on Benedict Arnold, Clare Brandt retraced his journeys up the Hudson River and around Lake Champlain. 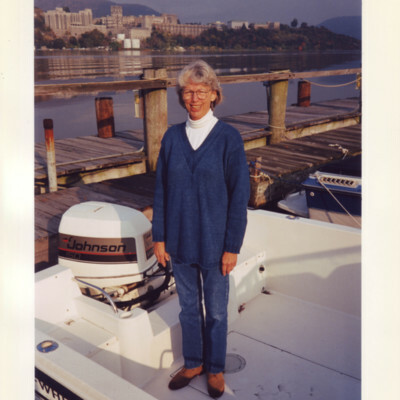 She's pictured in a motorboat in front of West Point Military Academy.